Despite a notoriously terrible memory, I’m really good at remembering hearing things for the first time, and I have always been able to associate my initial encounters with certain records with times, places, and people. When I go on tour with other musicians, I rarely bring music from my own collection, preferring instead to expose myself to the various CDs and playlists of my traveling companions. Over the years, I’ve discovered a lot of music this way, and I often return home from such trips with notebook pages full of new records to seek out. Sometimes if I hear something in the van I really like, I’ll ask about it, but more often I prefer to play it cool. To be overly inquisitive in such situations can be a buzzkill, like commenting on how and why a just-told joke was funny instead of just laughing. Because I am sensitive to this fragile dynamic of the shared band-space, I’ll often use discretion, making a little note of a song lyric that stands out, with plans to identify the song later via Google. (I’m not a smartphone guy, so Shazam is not an option). The first time I heard Pat Ament was during a tour with Simon Joyner and his band. I was sitting in the back seat of the van with Kevin and Megan, with Simon at the wheel and David Nance riding shotgun. Someone selected from their iPod an album I’d never heard before, and I liked it immediately. It reminded me, in mood, of certain private press Doors worshipers like Gyp Fox and Faction, but with a much stronger emphasis on songwriting. The songs were great. “What is this?” I finally asked. “Paddamin,” answered David. Hmm. Into the notebook. P-A-D-D-A-M-I-N.
A few songs later, I had to know more. “Has this been reissued anywhere?” I was told it hadn’t been, with Simon adding, mysteriously: “This is kind of an Omaha secret.” Omaha, I remember thinking. Paddamin from Omaha. Probably early 70s, from the sound of it. This shouldn’t be too hard to find. I didn’t think about it again until I was home a few weeks later. It took a while to discover that “Paddamin” was actually “Pat Ament,” and he hailed not from Omaha but from Colorado. The album had only been sold on Discogs once–for the princely sum of $150.00. I checked my other usual online sources to try to locate the record, and turned up nothing. This rarely happens; there’s always at least the opportunity to buy a desired record, even if that record is out of my price range. But this Pat Ament album didn’t seem to exist outside of our tour van and a lone Discogs entry that didn’t even include a photo of the album sleeve. My most creative Googling only provided info on some rock climbing dude (see interview below), with no results for ‘“Pat Ament” and “private press” and “music” and “LP,”’ or any variation thereof. By now, you’re probably wondering: Why didn’t I just ask Simon, who is a good friend, or any of the other band members, who were also intimately familiar with this mysterious album? I didn’t ask because I understood that the record was a well-guarded secret, and I respected such things, having nerdily, selfishly, greedily kept such secrets myself. To ask for a ‘burn’ of it or something seemed vaguely crass; I mean, I didn’t even live in Omaha! Besides, I’m prideful about such things and was determined to locate this album myself one way or another. I consulted my last resort: the file-sharing program Soulseek. It was rare to make an inquiry that stumped Soulseek, but that’s exactly what happened when I searched for the Pat Ament record. Curses! I placed the album on my ‘wishlist,’ where it has yet to turn up a single result. I finally admitted defeat and wrote Simon and his sometime label partner Ben Goldberg (the latter a rare non-Omaha resident I knew was familiar with the LP). I explained my difficulty finding the record and asked if they could please send me mp3s. They of course sent them immediately, which I know they would have done any time I asked, without hesitation, because my paranoid notions about record-sharing etiquette are mostly a product of not only a bygone, pre-internet world but my own warped imagination. Mostly. I knew I liked the record but didn’t remember why. The specific details of the album had long ago receded from that notoriously terrible memory of mine, undoubtedly erased to clear hard drive space for other equally trivial matters involving records. All I remembered about the Pat Ament LP was that there was a lot of Fender Rhodes (or was it Wurlitzer? ), lots of unusual lyrics, and a strange song about, of all things, Laurel and Hardy. Maybe it wasn’t as good as I remembered. It was possible my inability to hear the record more than once caused me to overrate the album, imagining a greatness that might not exist. Maybe I was just associating the music with a really great memory of a really great tour with some people I liked very much. 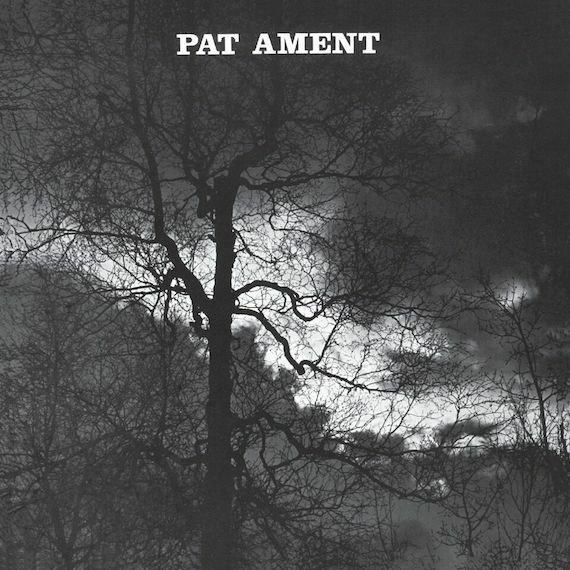 But no: a dedicated listen or two (or five) revealed that Songs by Pat Ament, even in mp3 form, was just as singular and stoned as I’d remembered, something of a spiritual soulmate of better-known masterpieces like the first two Bill Fay LPs, or even Songs of Leonard Cohen. A few months later, Simon and Ben told me they were reissuing the album and asked if I would write something about it. If it means I can finally own a physical copy of this album after years of searching in vain, I told them, then yes, I will write something about it. But the trouble is I don’t actually know much about the record, or about Pat. As for the basics, Simon more than covers them–and much more–in his fascinating and comprehensive interview with the man himself (see below). I’m just here to attempt to whet your appetite and offer my strongest vouch, a little envious that you won’t have to wait nearly as long as I did to finally hear this astonishing, uniquely beautiful music. Simon Joyner: Thank you for agreeing to discuss your self-released first album, Songs by Pat Ament, It’s a real pleasure and an honor for me, because it’s one of my all-time favorite records. When did you write the songs and did you know at the time that you wanted to make an album or was that an afterthought? Like “Songs of Leonard Cohen,” or John Prine’s first album, yours is that rare, incredibly cohesive debut in which every song is so resonant that it would appear you had been honing the songs for years in advance of the recording. Is that the case? Pat Ament: I am moved by your insight into my work. It is rare and enjoyable to meet someone who is the measure of the art. Always it seems a whole world is ready to dismiss a new artist. They said about Dylan that he sang like a dog with his foot caught in barbed wire. When El Greco went to Toledo, Spain, the rival Spaniard artists hated him and persecuted him, in part because his work violated tradition, with its elongated shapes, but also because the church started to give him the big commissions. People also find success to be an affront. In fact, though, this album came together in an instant, little to no rehearsal, just several friends who went into the studio and did everything quickly, many on first take. I put no thought into arranging the songs, and they were anything but honed. The goal simply was to get them on tape, in some form, and maybe something good would come of it. I had no plan for the album, other than that it might go out into the world and make a little magic of its own. Through the years, and now, I would learn it did in fact touch a few people. Simon Joyner: What was the band on the album and what were the circumstances of the recording itself? I’m interested to know if this was strictly a recording project or if you were performing these songs as a group live for awhile before you went into the studio. The other musicians are nuanced and restrained, as if they either knew your songs really well or were using charts and only adding what they felt necessary. Their back-up is more felt than heard, reminding me a little of Roberta Flack’s band on “First Take.” How well did you all know each other before learning the songs, and did you continue to make music together after this? Pat Ament: At that time, around 1969, I had songs running through my mind, too many to begin to capture. It was like a floodgate I couldn’t turn off. On one occasion when I drove a day to meet with a girl I was breaking up with, I wrote almost fifty songs in the car when I was behind the wheel. I scribbled with the my right hand, as I drove. I still have those songs in a manilla envelope. of my music. He tried to help me better understand dynamics. I would perform later, but either solo or with different musicians. Simon Joyner: How many copies of this album did you originally press and did they mostly go to friends or did you try and get them into record stores at the time? Were there any distributors or was it strictly a local (Colorado) release? Did it get any airplay locally? Pat Ament: Right at this time I became acquainted with a Boulder doctor, Keith Davis, and he offered to produce and finance the album. I was rather amazed. I can’t remember how many copies we made. They sold pretty fast, and some of the stores in Boulder and a few places here or there carried them. To my surprise, people told me they heard the album on the radio. Several friends who had full-time jobs said they heard certain cuts over and over, and people listened as they worked. Pat Ament: Probably a month or so after the album came out, I began to perform around Boulder. I gave solo concerts, for example, at the University of Colorado Student Union, before a large crowd, and I regularly performed at the downstairs concert room at the LeaningTower. At times I teamed with drummer Jimmy Hoffman,and we performed (piano, vocal and drums) at the student union and other places. That was an excellent gig, since it was full of people usually. I did perform the songs on the album and others, as well. I remember performing “Wayward,” “I’m A Lucky Soul,” and “Sometime When I’m Lucky.” I don’t know if they were greatly different than how they sounded on the album. A black artist at the time who played a nice guitar and had a beautiful voice learned “Sometime When I’m Lucky” and sang it at the student union. People were very impressed. If I remember the timing right, soon after the album came out, someone played me that song, “Oh what a lucky man I am” (Lucky Man), and it was such a strong voice and clear, high quality recording, I thought it made my “I’m a Lucky Soul” seem amateurish, though in fact if you really analyzed the two, my lyrics were probably every bit as good if not better? Simon Joyner: I’m also interested in your choice of the Wurlitzer as the main instrument on the album. It has such a distinctive, stoned sound. Why did you (mostly) choose it over, say, an acoustic piano? What were you listening to at the time and were you trying to emulate anything in particular? Were you trying to create a modern sound for what were essentially classic song formats? Pat Ament: I like the Wurlitzer because I could get it to sound somewhat like a Fender Rhodes but also could do other things I could not on the Rhodes. It had a very light touch, and this suited my style. I can’t think of anyone I wanted to be exactly like or any clear goal, as to a sound I wanted. I did want to write good lyrics, but they were spilling out of me so fast it was difficult to take the time to analyze any one song. Some clearly were better than others…. Also it was the only piano I could afford. One night, after I performed at the downstairs concert room of the Leaning Tower, in Boulder, the owners said I could leave the piano there. I would be playing several more days. Some people broke in and stole the piano. We could follow the tracks on the floor as they drug it off and out a garden-level window. The owners refused to take any responsibility. Rearick loaned me the money for a new identical one, but in time I reached one of those starving artist low points and sold it…. Simon Joyner: I got your record by chance because it had the look of a serious singer-songwriter record, without knowing anything about you. Those purchases of unknown records almost never pay off, however, so I was really blown away and moved when I heard it. I immediately started researching to see if I could find out anything about the songwriter, Pat Ament, but a famous climber with the same name kept showing up in my searches instead. “Not that Pat Ament,” I’d grumble, “I need to find out what happened to the songwriter!” It was clear that the artist on the album was absolutely devoted to songwriting, first and foremost, so it was impossible to conceive of him being the same person as the climber. But then I noticed upon close inspection in the deadwax of the vinyl that the name of the label was originally “Summit Records” and it must have been changed to “Signet Records” by the time the jacket artwork was made. Since the album was made in Colorado and the front cover image looked like it could have been taken from a summit after a climb, I had to go back and research the famous climber after all. 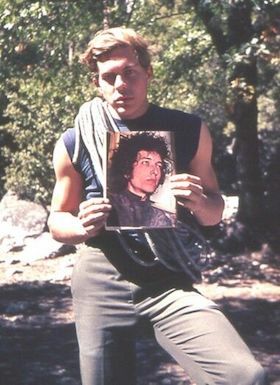 Before long, I found a photo of you in climbing gear holding up a photo of Bob Dylan and that’s when I knew you were one in the same. It was such a relief, too, because I had decided in my mind that you must have been drafted and sent to Vietnam and never returned. Since there only appeared to be one album, it seemed inconceivable that the passionate person who wrote those songs would have stopped making music unless his life was tragically cut short. I guess that’s a testament to how dramatic I can be and how scarce your music is, because, of course, you are very much alive and I was wrong about it being the only album. Pat Ament: My focus as actually more on music throughout the 1970’s than on climbing, though I did continue to climb. It’s like love. There is no end to the amount of love one can have. You can love multiple people at the same time, your mother and father, your friends, your girlfriend, and as I would learn more than one girl…, but it’s the same with our pursuits. There is more than enough time in life to do more than one thing. The late 1960’s were a rough time for me. A dear friend had a terrible freak-out on acid when I was with him, and because he was young I somehow blamed myself, even though I had not supplied the acid. That experience tormented me for years, and I escaped deeply into my music. I performed off and on and here and there, and I took up chess. While my first love was music, I became thoroughly lost in chess and became a serious player. I would eventually reach master level, no easy task. No one can imagine how much time went into climbing, music, and chess, and then on top of those I was an artist. I did hundreds of very detailed, fine-line ink drawings and won an award for my art at the university. All the while I was a writer and poet, publishing books and magazine articles. During this period, my love life went wild, and I had any number of serious relationships that stretched my heart beyond its limits to endure. My heart was thoroughly shattered into pieces several times. I rode the freight trains to Berkeley to visit one girl who then moved to Boulder to be with me. I then fell in love with the Jewish girl who loved me too, but her family and multitude of friends conspired to destroy us because I was not Jewish. Those were painful times. Yet the instinct to record was there. I recorded dozens more songs but did not put out another album until about 1980, which I called “Farewell,” after one of the songs. It had lots of good songs, this second album, but again was done in such a short time, no preparation of which to speak, and I could have improved just about every aspect of it. That whole next year I had so many songs just appearing in my brain and soul, and I met a fellow who invited me to write and perform the music at his wedding. He then offered to produce another album, and the two or three Boulder sessions resulted in “A Small Act of Love.” Dr. Charles Eiken, a professor, famous composer, and upright bass player recorded with me. I had a new girl friend, by then, Ruthanna, hence one of the song titles. Possibly but for that song, Ruthanna, there was no arrangement, and no preparation for the recordings. Dr. Eiken, of course, could simply play anything the second you played your part. I continued to experience songs pouring out of me. Sometimes I would dream an entire song, wake up, and write it down. The ’70s were incredibly busy. I started karate in ’73 or so and practiced blood-sweat-and-tears hard two hours every day. In 1975 I married a gorgeous woman who, I would learn later, was diagnosed as paranoid schizophrenic, and those three years of hell drove me deeper into music. At times I had no desire to worry if anyone heard it, so it’s no wonder I took awhile to do the second album, though I never stopped playing and composing. Simon Joyner: Tell me about when you started writing songs seriously and climbing seriously and how they were separate or how they converged in those days. Did you ever think you had to choose one or the other path in order to do either at your best? And what did the climbing community think about your passion for music and vise versa? Pat Ament: I started to write poetry in 6th grade and wrote what people said was a beautiful eulogy for the father of a friend of mine who died of cancer. My mother used to read me English poetry as bedtime stories. I had drawers full of poetry, and when they started to spill out all over the floor my mother would clean my room and toss most of it, which was what most of that needed. I managed to save a handful of things from that period. In 6th grade, for a large school audience, I sang a solo of Elvis Presley’s “Love Me Tender.” I loved to sing, and I started to write songs from then on but did not put them to music. Only in 1967, after that bad experience with my friend who freaked out, did I begin to sit at the piano. I wrote another set of about fifty songs, one called “Will It Ever Pass Over,” about the agony I was in and which I first thought was a masterpiece, but I recorded it and then quickly was on to other songs. Lots of good songs were just lost by the wayside. Anyway, climbing was there amid everything always. I started to climb in 1959 and fell into the company of the best climbers in the country. My newest literary project is called “Apprentice to the Masters of the Golden Age.” I had a very blessed life as a climber. When music started to come even more strongly into my life, the climbing community went into conflict. People are curious and like to define and understand a person. If one is good at a certain endeavor, people around him will reject any effort he makes to be good at another separate endeavor. When Michael Jordan took up baseball, everyone more or less scoffed and did not want to see him as anything other than the great basketball genius. In his case, what people resented was that he had the money to pay his way into the Majors, rather than work up through the ranks.The climbing world had already determined I was one of the best climbers of the 1960s, and that it was presumptuous or arrogant of me to also try to be a serious songwriter. They did not know music was there all along. But that was difficult for them. Some laughed me off and would not take seriously anything I recorded or performed. It takes vision to let people pursue divergent disciplines. In fact I worked very hard at my music and songwriting, every bit as hard as I had worked at rock climbing. At one time I was on the university gymnastics team and could do 150 fingertip pull-ups in five minutes. I was trained, and even then I felt I might have worked harder already at music. Maybe this is because I started at a low point and had such a long distance to go to reach a level people could recognize as high quality. Simon Joyner: Is there any correlation between the art of songwriting and of climbing? I’m curious about motivation. I often wonder what makes a person decide to write songs he or she knows will only be heard by a few people and I guess the same question can be asked about what would possess someone to scale vertical rock formations. Both are solitary pursuits, to a certain extent. Pat Ament: Because of my fame as a climber, I had a kind of ready-made audience when it came to writing. That carried over, and many of my climbing fans were willing to consider my music, while others more or less dismissed me as a songwriter. But yes climbing and songwriting were related in many ways. Both are creative acts. They are artistic. I think I learned a lot about the world from climbing and traveling, and that knowledge comes through in the lyrics. Both pursuits involved a complete commitment, total immersion. Often, though, when I climbed, I was thinking about a climb. And of course the very sense of climbing is forever a part of my DNA. I cannot go anywhere or do anything without nature, the wind, the night, the stars, the freight trains I rode, the women I loved, being involved. Simon Joyner: Did lack of commercial success for your music push you further into climbing and other pursuits or was music more of an artistic outlet than a “career”? Pat Ament: Music was an important part of my life. I have been called a “Renaissance man,” in that I have such a strong disposition toward art, and that art has led me into so many different endeavors. 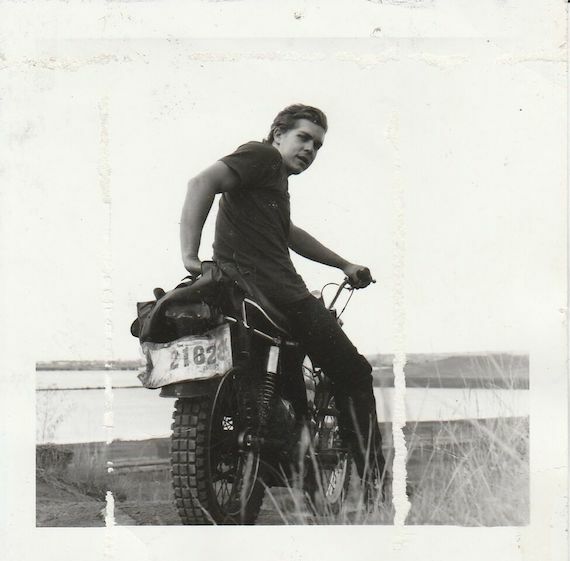 It was in my DNA to be a songwriter, just as it was to be a climber and a poet and artist. I believe had I a good producer and possibly a good coach I could have gone a long way, but I more or less bared my soul with all its imperfections and exposed my roughest edges to the public. None of my individual pursuits was a mere outlet, and certainly none was a “career,” but rather I learned how to combine all of them, a little money from one and a little money from another, as a career. I wrote books and articles, I drew and sold a lot of drawings, I was an expert chess player, I was a songwriter and performed and released music. I was also a photographer and had lots of images published. I lectured on climbing around the country extensively. I was a poet and made it into some prestigious literary journals. I also taught rock climbing. So everything my artistic moods dictated contributed to the whole. Simon Joyner: One of the album’s enduring highlights for me are the empathy and self-reflection that come through in your songs. Never cocky or macho, most of the lyrics are understated, about necessary changes and recognizing and respecting an individual’s need to grow and become whole. Your narrators want that for themselves and that’s not as unusual as the fact that they want the people in the relationships to grow and become whole people too. Women aren’t portrayed as ornamental, nor as destructive sirens or any of those old, moldy stereotypes. It’s a far cry from the singer-songwriters of the day who either put women on pedestals or write about having to shake them loose for being too limiting on their freedom. With the exception of Cohen, I’d say all the other great male songwriters have tacit sexism woven into their songs, so it’s refreshing to hear lovers discussed as equals and complications addressed empathetically. Were these hard-won truths obtained early on so that you could appear wise beyond your years, or were you simply raised by enlightened parents? Pat Ament: A certain few in the climbing world felt I was egotistical. They did not know me, and none of my friends saw me that way. But in fact I always cared about other people and wanted to be the right kind of person. Though I have made plenty of mistakes through the years, I feel I have progressed toward the goal. I have never tried to be macho, because in fact I am a bit shy in some ways. I appreciate your observations about these things, though nothing happened too consciously. I simply was who I was in these recordings. I did not write most of these songs in a clear, analytical, conscious way. They were there, and I tried to capture them. Words, as I said, simply flowed from me in abundance. And those songs that are far too wordy and too long are probably evidence of that abundance. I should have taken the time to cut them down to half their size. I think some part of me wanted to be honest, to speak from a true heart, and perhaps some of the good you see in a few of these songs is a result of that. Simon Joyner: What was your childhood like? I’ve found that creative people are sometimes children of deprivation who must cut their own way in the world due to not always having encouragement or understanding from their parents. Or else they are totally supported and pushed by their parents and end up with a similar result. Does either extreme fit your autobiography? Were you raised in the mountains with parents who encouraged engagement with the outdoors and vacations into books, or are those interests you pursued and gravitated toward on your own? Pat Ament: I think my life was relatively normal in many ways. I lived with my family in a country setting with fields, trees, and a small lake of northwest Denver until I was twelve. Those first years were imaginative, and I spent a lot of time playing in the surrounding fields. From an early age, all my teachers noticed that I had a vivid imagination. My father took a job at the University of Colorado, and I discovered climbing. That was a great and significant event, and I was focused on climbing from that moment on always. All along, though I was a good musician. I was a talented saxophone player at a young age, but I finally began to write songs and worked hard to teach myself how to play the piano. Simon Joyner: It seems to me that any profound relationship with nature should humble us to our core. As a climber interacting with forces far greater than your own, I wonder if that’s what made you more reflective and balanced in your approach to human relationships? Pat Ament: I guess I never thought of myself as especially balanced in relationships. I did love people almost in the way a true poet might, in some ideal world. Yes nature does open your eyes to the grandeur of life, and I always felt it was a blessing to be alive and to know and love people. I was always told I was very sensitive. decade” because you followed those other pursuits outside of music? If you continued writing during that time, are their tapes of recorded music in storage from that time? How many albums did you release on vinyl? I know of three vinyl albums but have only found two. They are all quite scarce, it seems. Pat Ament: When the record started playing here and there on radio, I did nothing to make any of that happen. However modest the whole project, I would never say there was a lack of commercial success, since we did reach our goals, or live up to our modest expectations. No one ever tried very hard, nor did I try, to get these albums out into the world. We let them do whatever work they were going to do entirely on their own. It was almost a way to reach out and feel the waters, a “feeler.” No interest of mine ever really got in the way of another. I gave everything to all of them. And yes I have hundreds of recorded songs still sitting around I never did anything with. speak for you, his elder at seventy-one years of age? Pat Ament: I wonder if I am the measure of my own music, when I hear you speak about this first album of mine. It felt like a rough beginning I quickly was eager to move beyond. Thanks for teaching me about some of its good qualities. I can’t help but feel that first album needed lots of work, since it happened so quickly. I often imagine re-recording any number of albums I did and giving them the proper time in a proper studio. But that’s only a dream. At the time of that first album, I’m not sure I even knew there was a proper register in which a person should sing. I found the chords and music on the piano and went with that key. I sang it where I found it, even if it was too high and could easily have been transposed lower. Some of the songs did not have clear “hooks,” and were almost a jumble of words. Yet because I am a serious poet who has given countless years and decades to the writing art, I suppose things that might not seem finished to me could seem quite beautiful to others? It comes as a surprise that you think it is such a strong debut album, but it also surprises me when someone phones and is looking for a copy and willing to pay just about anything. Two Chinese women paid $300., plus shipping, to have me send them my last copy. They had heard it somehow, somewhere, and liked it.I assumed that was because they were foreign! Yes I do know that twenty-some person. I am the same person in many ways. Simon Joyner: The narrators in the songs on this first album speak a lot about change and traveling and exploring the world in general. “I feel like going to the coast, I think it might be good for me” is one of many lines on this theme (and a line my wife has turned into a personal mantra, I might add). How much Kerouac-style bouncing around did you do at this time in your life or were the songs merely a place to express unrealized longings and to shed your skin through imagination. To what degree did you actually get out of Colorado and see more of the world? Pat Ament: As a high school kid I went from Colorado to Yosemite and climbed there for a month. I rode the freight trains back to Colorado, from Fresno up north through a dark night to Roseville, and over the Sierra range east, through the long deserts of Nevada and Utah, and through all the canyons of Colorado. I then rode the freights again on innumerable occasions, great times in which to reflect and write songs. I hitched hiked across the western U.S. several times as well, so I think I did quite a lot of Kerouac-ing around, probably far more than he actually did or Dylan did, but not as much as Woody Guthrie. Simon Joyner: The song “Sometime When I’m Lucky (for Bob Dylan)” is one of my favorites on the album. It kills me every time you sing the final line, “I’ll tell you these things that I’ve wanted to say, and then I’ll be happy and you can walk away.” It’s so sincere that it’s heartbreaking for me to hear. What I like most about the song is that the sentiment seems to be about proving something to oneself first, before you can share anything with someone else (a mentor or a lover). It seems to be about a desire to share self knowledge with someone who just might understand. The fact that this incredibly intimate song about self-delivery and self-awareness is addressed to a famous, larger-than-life personality just makes your earnestness that much more beguiling to me. What were the circumstances of writing the song and did you ever have the chance to tell Dylan those things that you wanted to say? For the record, I think that while Dylan may be the greatest songwriter ever, the closest he comes to the naked, effortless sincerity heard throughout your album is on his song “Tomorrow Is A Long Time.” What you do, he doesn’t do very often. Pat Ament: That song came to me. It was there. I felt it. It could have been written for just about anyone, quite a number of friends who have drifted away, by no fault of our own, past lovers… There are so many people with whom there were things left that needed to be said. At the moment I recorded the song I thought to dedicate it to Dylan, because I felt he and I had a kindred spirit. And probably all we would need is a passing moment to fully sense and understand. I somehow doubt he would have ever heard it, though, or would have cared. A producer in Boulder I happened to meet knew Dylan and took a copy of the album. He said he would get it to him. I realized, though, Dylan probably had truckloads of fan mail and things written for or about him, so it likely all became a bit meaningless perhaps. If he did receive it, it’s highly unlikely he would have cracked open the shrink wrap. That doesn’t take anything away from the song, as I said, it is readily interchangeable with different people.